Well, another year over and a new one just begun as John Lennon once said. So this seemed a good time to sit and have a think about what has happened for Britpop Revival in 2012 and I think it's safe to say, it's been a pretty busy year that has developed in all sorts of ways that I didn't plan! Towards the end of 2011 the band that I had been playing in for the previous 5 years came to an end and I started looking for a new project. I knew what I wanted to do. I wanted to start a covers band playing Britpop. It made sense commercially (there were plenty of 60s & 70s cover bands locally but none doing 90s) and I really loved the music. Promoters were keen and as soon as I'd mentioned it people started approaching me to book a band that didn't even exist yet. Seeing how much interest there was I started a facebook page, asking people what songs they'd like to see the band playing and pretty soon it started to grow with plenty of people keen to share their love of Britpop. The band never really got going though. We didn't quite get the right people together and after a few rehearsals it just sort of petered out. If I'm honest I also wasn't relishing the business side of running a semi-pro band again. 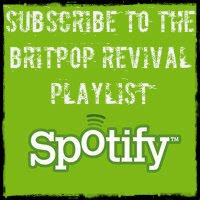 The facebook page was still growing and it quickly transformed from being a band page into a general fan page for all things Britpop. More and more people kept joining, including loads from Indonesia and Malaysia for some reason. Even today Indonesia and Malaysia accounts for about 40% of the people who 'like' the page, though they don't post much. In the summer FB made some changes to how pages work and suddenly, although we had thousands of people following us, only hundreds were getting to see each new post. Despite this the page continued to thrive and a number of 'regulars' started to emerge and I really enjoy all the comments and interaction with people on the page - it's why I do it. The idea for a radio show had been brewing for a little while but it got the kick that it needed at a children's party of all places. I was talking with a friend about how I'd love to do a show playing Britpop music and he simply said "Well have you done anything about it?". I said not really and at that point realised that I either needed to put up or shut up. 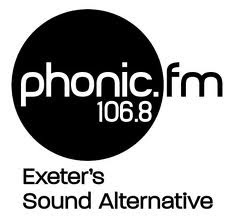 When I got home I sent an email to my local community station Phonic FM and a week later I was in their offices pitching the show. All of a sudden everything had a new focus. The mixcloud page for hosting previous shows was set up and I started writing this blog. With the help of people through Facebook and Twitter the set list came together and by the time of the first show in November there was a community of people out there all across the UK and the world listening in (well a few anyway). Despite being petrified for at least the first hour of that show, it felt great. As soon as it was over I wanted to do it again. Once a month was not going to be enough! Soon after that first show I was flattered to be asked if I'd like to produce a weekly show for Strangeways Radio, an internet station based in the States. I jumped at the chance and the new show, called Vapour Trails, will be starting in a couple of weeks. One of the things that I most pleased to have been involved with this year has definitely been helping to put the lost Britpop album News from Nowhere by Speedy onto the net. I know that I have gone about this at length in previous posts so I shan't do it again now! Suffice to say that if you haven't heard it yet, you really should. The Speedy episode is one example of something else that has surprised me. I've discovered loads of great new music, albeit much of it is actually old. Through Facebook and Twitter people are always suggesting new bands that fit with the Britpop genre or reminding me of old bands they liked, some of whom I've never even heard of. Spotify is a massive help for tracking stuff down as is Zoverstocks, who stock all sorts of old stuff for just pennies (see 1palbumclub). So it's been a great and surprising year. My thanks to you for reading this blog and getting involved, that is what has made all the difference. 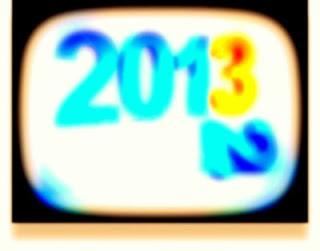 2013 is already shaping up to be even better. The new show for Strangeways Radio starts in just a few days and I am really looking forward to that. On Phonic I am planning to have our first live studio guests. We'll also be looking at number of interviews and perhaps even a session or two as the year progresses. There is the enticing possibility of doing some DJing on the Other Stage at Glastonbury this year, which would be fantastic if it comes off. In March I should be going to see Suede and then the following week Damon Albarn & Noel Gallagher on stage together - wow!